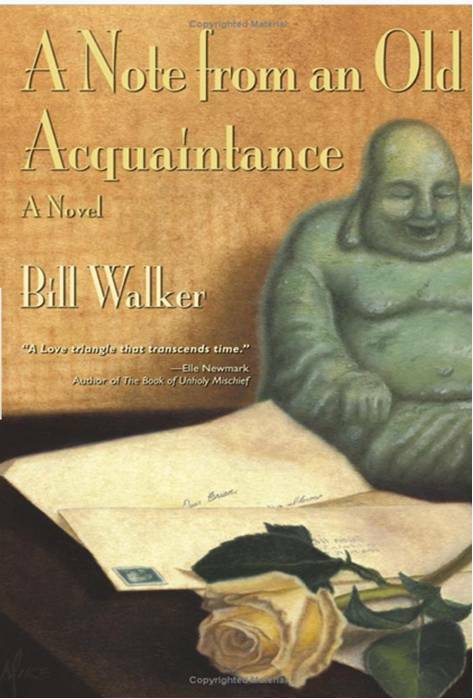 When we first meet Brian Weller, he's struggling to write his next novel while looking over his wife who has been in a coma since the accident two years ago that killed their 3 year old son. Then one day, he receives an email from Joanna, an artist with whom Brian obviously has a past. Soon we are taken back to the time when they met, 15 years earlier, to follow along with them as they fall in love, and discover what tore them apart. A Note from an Old Acquaintance by Bill Walker is a love story that spans many years and many miles. It's the story of two people who found their soul mates, but were forced to live their lives apart. After reliving the love affair of Bill and Joanna, we're taken back to the present where Bill has scheduled a book signing tour in Boston so he can meet up with Joanna for the first time in more than a decade. Old feelings, both good and bad, are reawakened in the two, and in their loved ones, as they get reacquainted after all these years. I haven't read a romance in a while, but I heard about A Note from an Old Acquaintance and decided to check it out. I did enjoy the story. The characters are well defined and interesting, and I could feel the love between them. The storyline is quite suspenseful as there are many obstacles to their love both in the past and in the present day. But some parts of the storyline are fairly predictable, and I didn't like is how lightly infidelity is treated in the story. Overall, though, it's an interesting and engaging love story. This review was written based on a copy of A Note from an Old Acquaintance that I won in a giveaway on CMash Loves to Read. Sounds interesting, though I agree with you - it always bothers me when infidelity is treated lightly in books and movies.